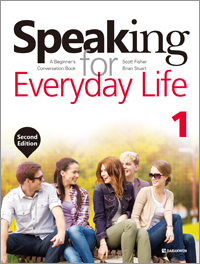 This book is a conversation textbook designed for university-level ESL students of English. Its unique approach is to present dialogs and activities that are related to everyday life. Although the focus is on improving speaking skills, listening and writing activities are also included in each unit. This book is designed to encourage students to speak about things they are familiar with, and to have fun while practicing English through the various activities included in each unit.